« 12 Days of Anime #6: Three Friends for the Price of One! 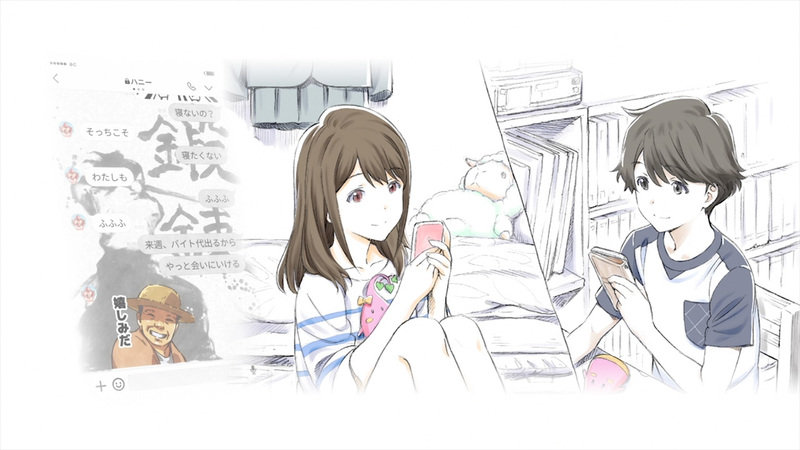 Up until the final episode, Tsuki ga Kirei was an extraordinarily grounded show focusing on the awkward first relationship between a couple of mundane, normal young teenagers. It was thoroughly naturalistic, with no sappiness, overblown drama or eccentricity – that it never became boring despite that speaks volumes to the quality of the writing. That careful and considered approach is what ultimately earned it its finale, where it indulged in some rare soap opera-esque drama for the length of the episode. In a sense, it’s rather predictable: she’s forced to move, their inexperience leads to miscommunication that never gets cleared before it’s too late, and he ultimately feels the need to say something right at the last moment. Cue the climactic scene of him running as fast as he can to head off her train so he can see her one last time and declare his undying love via the messaging app that was how they got started talking to each other in the first place. A bittersweet conclusion of distance and longing wrapped up in an expression of a pure, almost untouchable romance. How delectably adolescent and Shinkai-esque! Roll credits. An obligatory inclusion for these kinds of scenes is a reprisal of the OP music; you skip the usual episode opening to mark the seriousness of the episode, saving an extended version of the song at the end to really bring in the feeling. And it ends when the episode ends and the credits start rolling; a different track signals us to start relinquishing our emotional investment. Except while yes the OP song is used as you’d expect, when the credits start it doesn’t stop. It quietens, but continues. We get an epilogue. They’re both still messaging each other. He’s taken up a part time job to be able to see her. We get images of them fighting in high school. Of them being caught by her parents when they stay up late watching films together. Of the pain of being unable to be there for each other when they’re ill. Of little white lies to be able to take a holiday together. Of them in different universities. Of them getting jobs. Of them marrying. Of them starting a family. Of their happily ever after. Tsuki ga Kirei understands something. In the age of the ubiquitous smartphone, constant communication is trivial. Physical distance doesn’t need to kill a relationship if you’re both willing to put the work in and the love holds despite the time apart. So why stick with the sad, but romantically affirming, ending? This epilogue accomplishes so much it’s hard to know where to start. First we have to acknowledge how cheekily it gets away with having its cake and eating it too. We get the big, sappy, melodramatic payoff to the series and a sequence that should completely undermine it, but doesn’t. 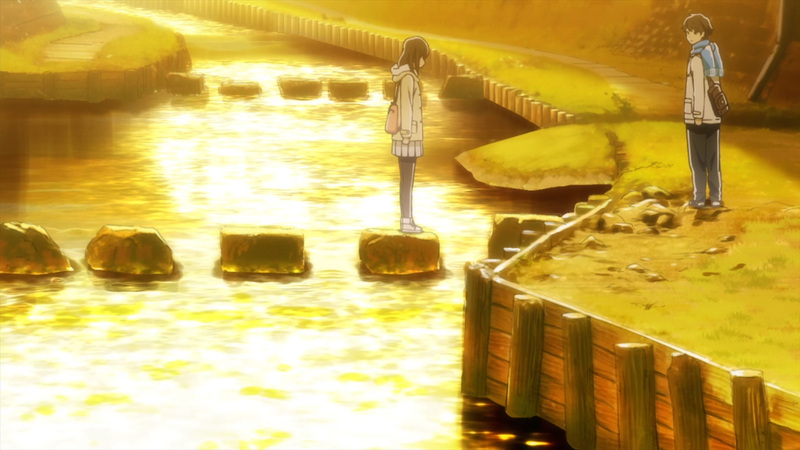 And I think this is because of how keenly Tsuki ga Kirei understands teenage romance – it is big and sappy and melodramatic all the time, and being forcibly separated like that, even knowing you’ll be chatting a couple of hours later like normal, will be a heart-wrenching, world-ending experience. Their feelings in that moment were perfectly communicated to us, and they are no less meaningful for what comes after –our expectations were just used to fake us out. And that element of surprise is hugely important. I don’t think anyone was expecting this – I’ve never seen this approach taken before, and especially not after a climax like that. The emotions were riding high as we all felt sad about their adorable, oh-so relatable relationship crushed by cold hard reality, but from that low point the show pulls us up and starts showing a happy ending. Scene by scene, we see them struggling and putting in hard work to maintain their relationship as they grow and change. From expecting nothing we’re given hope, and the show so adeptly teases more out, gets us to root for them as they progress, bit by bit, towards the finish line. It is such an emotional rollercoaster of an ending despite the fact that it’s thoroughly optimistic and only positive once it starts. It is an immensely powerful and happy payoff for our emotional investment, one that could not have been achieved to the same degree without that crucial element of surprise. Given all those scenes, I reckon that entire epilogue could have been another series and still have been fantastic. There was so much happening and implied to be happening, I don’t doubt there was enough material for a sequel – and given what we’d already seen, I have no doubt that their take on a maturing young love would have been remarkable. So it’s admirable then that they kept it to the credits, denying themselves the sequel hook for the sake of delivering as strong of an ending as possible. By leaning that heavily into our emotional state post-‘finale’, they could pull us back up for an even higher, more joyful, and therefore more satisfying ending. It demonstrates so much commitment to what they had made, and I love them for it. And my favourite part of this finale – it proves that their teenage love was real. A common (and not unjustified) criticism levelled at a lot of romance anime is that any impact and investment is lessened by the knowledge that it probably won’t last due to the characters’ typically young ages. Your ‘happily ever after’ is left to the audience’s imagination, but the cynics among us will fail to believe in it for so many perfectly valid reasons. But Tsuki ga Kirei believes so strongly in its couple that it goes out of its way to confirm that what they felt – that their young, naïve love – was real and genuine. And genuine it is – it would be easy for the show to declare it ‘true love’ in an entirely unconvincing fashion and leave it at that, but here it’s kept grounded and realistic in a way that shows it’s not some idealised romance. We see secrets, hints at fights and trust issues, but then also the proof that they worked through them together. There’s a sincerity to it, and a resounding, heartfelt vindication of young love. 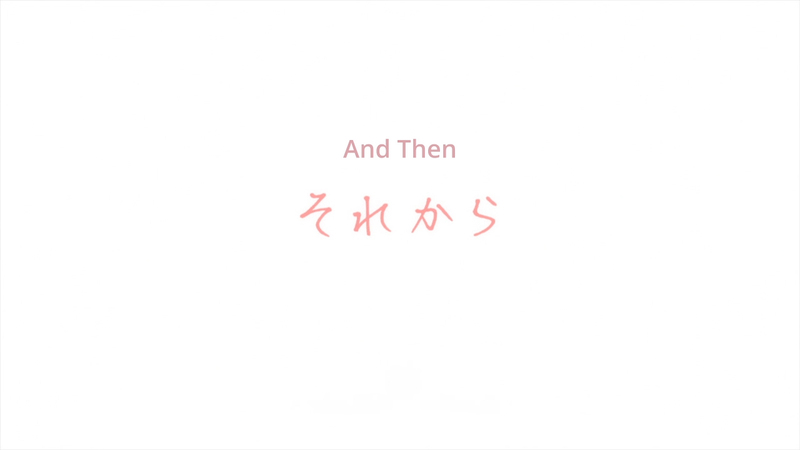 I imagine this epilogue will remain fairly unique to Tsuki ga Kirei for some time – it had the perfect narrative storm to make it work, and it can be repeated only so many times before the novelty (and therefore the power) wears off. 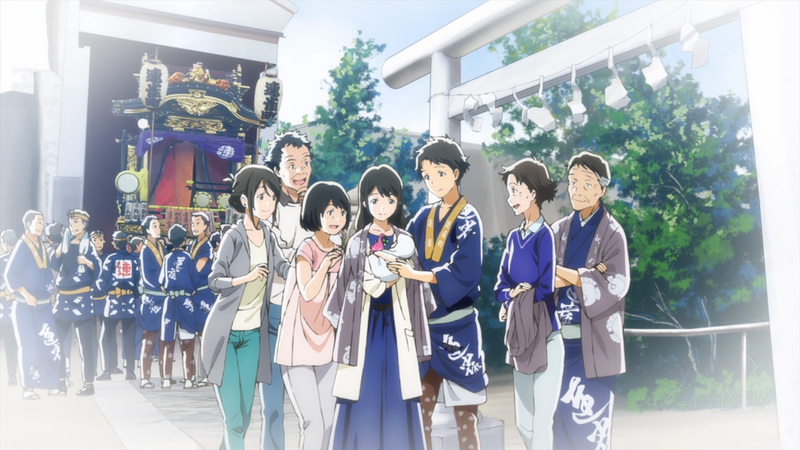 But even if that happens, Tsuki ga Kirei’s execution will stand above the crowd for being the perfect, unforgettably sweet bonus to a subtle, nuanced, and thoroughly endearing story of young love that gave rare, true closure. I’m over here grinning goofily after reading this post and remembering all the emotions I felt in the last episode of this anime. Nice submission for 12 Days!